Media speech, at least on national radio and television, is one of the bearers of standard speech in Slovenia. Thanks to its relatively wide distribution and influence on the speech habits of ordinary viewers and listeners, research into media speech is easy to justify. 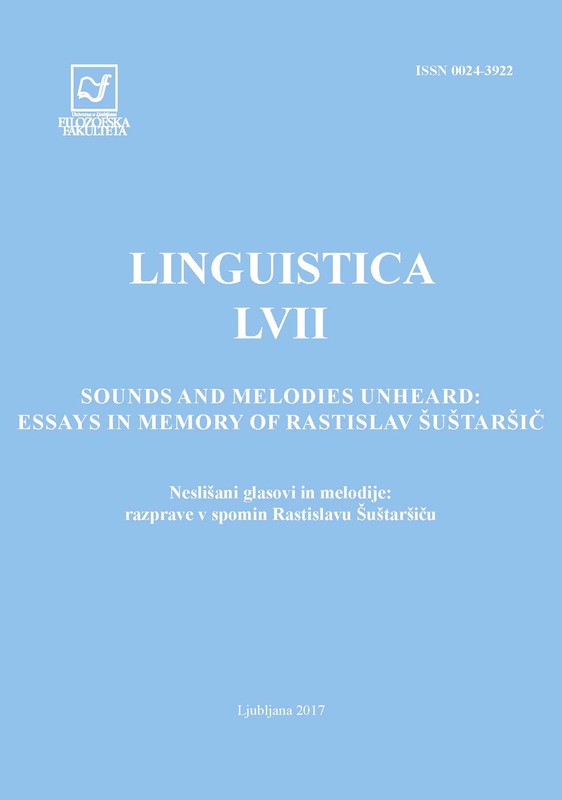 In this contribution, on the basis of three methodological approaches and with the help of the programme Praat, an analysis is carried out into a hitherto poorly researched prosodic phenomenon in Slovene – sentence stress. The study focuses on sentence stress with regard to frequency, intensity, tone and sound lengthening. Using a corpus taken from 10 television programmes with political content, with a total duration of two hours, three hypotheses were examined: 1) that the speech of male/female politicians contains sentence stress more frequently than that of male/female TV presenters; 2) that sentence stress used by female/male politicians is on average stronger in intensity (dB) and has a higher F0 (Hz) than sentence stress used by male/female presenters; and 3) that in terms of auditory perception of sentence stress, the most important role is played by a change/increase in speech intensity and a slightly smaller role by the raising of F0 or the lengthening of sounds.